Daleys Fruit Tree has Plants for Sale to South Evans Head and can Mail Order them to you door. Click to Find out how much Freight Will Cost. 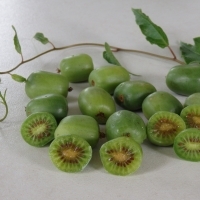 Hardy Kiwifruit selection, self fertile producing hairless Kumquat sized fruit, cropping its 2nd year. 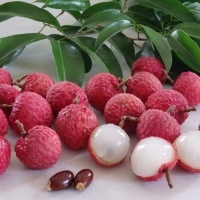 Taste is similar to the normal Kiwifruit.